Many people want to learn how to lose weight fast, but with so many diet plans out there and new ones popping up all the time, it can be confusing for someone to determine which is the best. In this article I’ll take a look at some of the most popular plans out there and give my opinion of them. I’m going to focus my review on overall health and their impact for weight loss. There are a few popular diet types that I won’t be including in this review. The type that I won’t over are plans that are based around subscribing to a program or buying their food. This means I’m not going to cover plans like Weight Watchers or Jenny Craig. I’m also not going to include any programs that revolve around buying supplements so I’m not going to talk about plans like Slim Fast or HMR. And lastly, I’m not going to talk about any short-term diets that aren’t viable long-term solutions. This means no Master Cleanse or Cabbage Soup diets. With that in mind, here is a basic overview on some of the popular plans as well as my thoughts on them. In no particular order, here are the best diet plans reviewed. What it Is: There are many different versions of intermittent fasting but they all involve cycling between eating and not eating. Some of the cycles break up a day into hours of fasting and non-fasting and other versions break up a week into days of fasting and non-fasting. One of the most popular forms of intermittent fasting comes from Martin Berkhan and his leangains guide. This is a 16/8 plan where you are fasting for 16 hours and eating for 8. Another popular version of intermittent fasting is detailed in Brad Pilon’s book Eat Stop Eat. This style involves fasting for 24 hours, 1-2 times per week and eating normally during the rest. The Warrior Diet by Ori Hofmekler is another popular plan. This is a 20/4 plan but is not as strict as some of the others because it allows small meals during the fasting period. Jason Ferugia’s Renegade diet is an off-shoot of the Warrior Diet. James Johnson’s Alternate-Day Diet is one of the first books written on the topic. It calls for eating normally one day and limiting calories the next. The theory behind these programs is they are supposed to reduce the oxidative stress and inflammation in the body because you aren’t eating as often so the body does not get stressed as much. Good: Some intermittent fasting programs allow you to eat whatever you want during the non-fasting periods. This can help some people with compliance since you don’t need to cut out a lot of foods entirely. Some intermittent fasting programs claim that you are able to burn fat and build muscle at the same time. The evidence that supports this is anecdotal and not research-based. There are a few studies that show that intermittent fasting may be beneficial. A 2005 study said intermittent fasting may promote fat oxidation. Subjects also lost weight in a 2012 study with both high-fat and low-fat diets. Bad: This plan can cause some problems if you don’t have a normal metabolism or a blood sugar, adrenal gland or thyroid issue. You should check with your doctor if you are not sure of any other medical issue. The fasting periods can be tough to get through especially if you have a hard workout planned. It requires a lot of discipline and will power. Timing the fasting and non-fasting periods can be tough if your schedule changes from day to day. Verdict: This plan does have some benefits but it is definitely not for everyone. I wouldn’t recommend this nutrition plan for beginners. You need to calculate you calories correctly and not over-eat during the non-fasting periods if you want to lose weight. I tried intermittent fasting for a few months with some decent results. The plan I used was the Renegade Diet. I fasted for 16 hours, under eating for 4 hours with protein and fats and then overeating for 4 hours with protein and carbs. I wasn’t trying to lose weight so I was not in a caloric deficit. I still ate my normal foods, I just changed the timing to try and fit in the eating windows. Even though my results were decent, I didn’t really like the plan because my schedule was always changing. This meant I was usually working out on an empty stomach (not fun) and then I would have 2 hours (not the usual 4) to get most of my calories for the day. This 2 hour window was right before I went to bed so it wasn’t fun for me to be so full when I was trying to sleep. I think this plan can work for the right person as long as your schedule allows you to be consistent with the foods and you have the self control during both fasting and non-fasting periods. If you do want to try an intermittent fasting plan, make sure you do your research before you start and if you are unsure about any preexisting conditions, please check with your doctor. What it Is: The concept behind a Paleolithic diet is that humans haven’t evolved to eat a “modern” diet and that our bodies are more suited to a diet like our Paleo ancestors. Whether this is true is still debated but the theory does make sense. Basically, if a caveman would have eaten it… you can and if he couldn’t then you can’t. Robb Wolf and Dr. Loren Cordain are most associated with its popularity and go into detail with their respective books The Paleo Solution and The Paleo Diet. In a nutshell, with a Paleo diet you are eating foods like meat, poultry, fish, eggs, vegetables, fruits, tubers and healthy fats and you are eliminating foods like grains, dairy, sugars, processed foods, legumes, alcohol and potatoes. This is more like a guideline for eating food instead of a traditional diet plan with a lot of rules. The main concepts of Paleo include eating less carbs with more protein, fiber and low glycemic index foods, with a moderate to high fat intake. Good: This is a very flexible diet without a lot of tracking or calculations. I like that you’re eating a lot of “real” food and aren’t eating unhealthy sugars, alcohol or processed foods. You’re also avoiding foods that some people have an intolerance to, like grains and dairy. Since you’re avoiding a lot of carbohydrates, your insulin levels should be lower which can help weight loss. A 2014 and 2015 study indicated that low-carb diets help people lose weight quicker than low fat diets. Bad: It may be hard for people to eliminate certain foods from their diet so that may lead to people cheating. You can’t really do Paleo if you are a vegetarian since so much of it revolves around meat and animal products. As with many other low-carb plans, you may experience a decrease in energy until your body starts to use fat for energy. There is some debate over its overall healthiness because you’re eliminating entire food groups like dairy and grains. While it may not be for everyone, there are cultures like the Inuit that have based their entire diets on meat and were healthy. What it Is: The DASH (Dietary Approaches to Stop Hypertension) diet was developed by the US Department of Health’s NHLBI (National Heart, Lung and Blood Institute.) The main purpose of this diet is to control high blood pressure but it can be adapted for weight loss. The plan recommends eating vegetables, fruits and whole grains. It also recommends choosing foods that are high in protein, potassium, calcium, magnesium and fiber. It suggests eating foods that are low in sugar, sodium, trans fats and saturated fats. This pdf document explains the DASH diet in greater detail. U.S. News and World Report rated this as their #1 overall diet. Good: This plan is not as restrictive as some others and is good for someone who can’t give up carbs. Most of the carbs that from this plan will be high fiber and low glycemic. This means there won’t be as much of an insulin release as a typical American diet. Doesn’t require any special foods or supplements. Bad: The calorie recommendation is based on age and activity level and does not factor in weight or body fat percentage. This means the calories you eat may be too high or too low for your body. Short-term results are not as quick with DASH compared to a low-carb diet. The recommendations are based on servings and not all serving sizes are listed in the informational pdf document. Verdict: I like the emphasis on fresh foods and limiting sugar. The reduction in sodium of the DASH diet is effective in reducing blood pressure so that’s a great side effect to this plan. I think the food recommendations are great if you are going after a balanced diet, but the calories and serving sizes need to be a little more individualized. Since this plan is not designed to be a weight loss diet, the results won’t be as quick as some of the other plans but making healthy long-term changes is never a bad thing. What it Is: There were many low-carb plans before and since Dr. Robert Atkins published his first book, but to me, this is the diet that started the low-carb movement. Even though his first book , Dr. Atkins’ Diet Revolution, was originally published in 1972 the height of low-carb popularity didn’t happen until the early 2000s after his second book, Dr. Atkins’ New Diet Revolution, was published. The plan involves cutting out the carbs and eating more fat. There are 4 phases to the Atkins diet, with each phase allowing more carbs. The theory behind this is similar to other low carb plans where you are lowering the insulin levels in the body and changing the body’s energy source from carbs to fat. The energy from fat is in the form of ketones, which is why low-carb diet are often referred to as ketogenic diets. The Eco-Atkins diet is a modification to the traditional Atkins diet that is based on plants. This is a good alternative for vegetarians who want to lose weight quickly. The diet is still based around protein and fats but they aren’t from animal sources. Much of the protein in Eco Atkins is from soy. Good: Most people will lose a lot of weight with this plan. You don’t need to track calories, only carbs and net carbs so that is less to calculate than other plans. It takes some time to adjust, but your body will start to burn fat for energy so you should experience less drops in energy. You can eat meat and other high fat foods without feeling guilty. Bad: This diet can be pretty strict, especially during the induction phase. Carbs need to be tracked accurately and you need to be aware of “hidden” carbs in foods. A lot of the initial weight loss will be from water. You may gain weight if you start eating too many carbs again. It may take some time for your energy levels to adjust to low-carbs so you may feel sluggish until your body starts to burn fat for energy. Verdict: There has been some debate about the effectiveness of Atkins and other low-carb diets. They are more effective for short-term results and produce better weight loss and metabolic effects after a year than some of the other diets on this list. Some think that the high cholesterol in this diet cholesterol is not as bad as most people think. What it Is: The Mediterranean Diet is actually more like a lifestyle recommendation instead of a diet since there are no strict guidelines. There are many different versions of this diet since there are many countries that border the Mediterranean Sea and they don’t all eat the same. In 2013, UNESCO recognized the Mediterranean diet as an Intangible Cultural Heritage from Cyprus, Croatia, Spain, Greece, Italy, Morocco and Portugal. One of the most popular versions of the Mediterranean diet is outlined in Dr. Walter Willet’s book Eat, Drink, and Be Healthy. Even though he doesn’t call it a Mediterranean diet, the concepts are similar. His food pyramid places exercise at the foundation with grains, oils, fruits and veggies at the base. Red meat, simple starches an sugars are at the top of the pyramid and should be used sparingly. Willet is one of the advisers to the non-profit company Oldways, who also has a popular version of the Mediterranean diet. Their pyramid is very similar and recommends a lot of veggies, grains and oils and limiting meat and dairy products. Good: The guideline approach may appeal to some people because there are not strict rules or tracking. Wine is allowed in moderation and things like desserts are OK on special occasions. A great plan for vegetarians because it’s recommended to limit meat. The program emphasizes fresh nutritious foods and recommends avoiding sugary or processed foods. The bottom of the pyramid is made up of exercise, which some plans neglect. Bad: Most of the things I mentioned as good can also be listed here but it depends on your food preferences and discipline. Having no guidelines or tracking for calories or macros makes it difficult accurately assess what you are doing. Some people can go overboard with wine and desserts since they are allowed. Not a good plan if you like to eat meat. Verdict: This was a hard plan for me to research since there are different versions and none of them have set clearly defined rules to follow. Even though not tacking calories may work better for some, I am not a fan because it’s hard to make a change if you don’t where you are at. Like all of the plans on this list, real, fresh, unprocessed foods are recommended. Even though there may be some health benefits to this plan, the high amounts of grains may make it difficult for quick weight-loss. What it Is: If Atkins is on one extreme with it’s low-carb diet (especilly during the induction phase,) the Ornish is on the opposite with it’s low-fat approach. Dean Ornish developed the Ornish diet to help people improve their health and lose weight. His 2007 book The Spectrum discusses the plan in detail. The program categorizes foods into 5 groups based on their health level. It focuses on eating a lot of fiber and keeping your total fat calories under 10%. The main foods in this plan are fruits, vegetables, grains and beans/legumes. 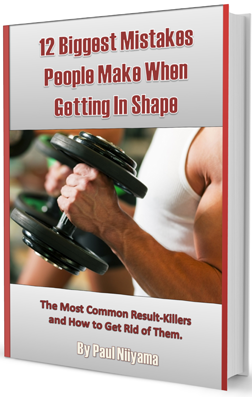 You will want to avoid meats, sugars alcohol, and all fats. Other than weight loss, this plan attempts to prevent and reverse the risk of heart disease. Good: This may be a good plan for vegetarians because you’re avoiding most animal-based products, except for those that are fat free. This plan takes a holistic approach by also recommending stress management, exercise and a support system. The plan does not restrict calories, which is a double-edged sword. It can help some comply with the program since they won’t be hungry, but can also lead to some people getting too many calories which will make weight loss difficult. Bad: The high carb approach with no calorie limit can make it tough for some people to lose weight with this plan. Limiting fat intake can lead to being hungrier than with a high-fat, low-carb plan. Avoiding most animal-based products can make it tough for some people to get enough protein in their diets. Even though this diet is designed for improving health, those on an low-carb diet had better metabolic effects after a year in this comparative study. Verdict: The main reason for limiting total fat and saturated fat intake in this plan is to improve the risk of heart disease. It’s hard to say one way or the other if saturated fat intake really increases your risk because of all the conflicting studies. There are some, like this study and this one, that show there is a link between saturated fat and heart disease, and there are other studies, like this one and this one, that show there is no association between the two. I tend to recommend low-carb diets for weight loss more often than low-fat diets, but this plan will work better for some people depending on your lifestyle. I like that this plan also recommends exercise and stress management because some plans neglect these aspects of a healthy lifestyle. What it Is: This is another low-carb diet plan that places emphasis on the glycemic impact of foods. It was created by cardiologist Dr. Arthur Agatston, when he noticed his patients on a low-fat diet were not improving their markers for heart disease risk. The South Beach Diet and The South Beach Diet Supercharged are two of his most popular books. This plan focuses on choosing “good” fats instead of “bad” fats and “good” carbs instead of “bad” carbs. that means unsaturated fats instead of saturated and high-fiber carbs instead of high-glycemic carbs. Like Atkins, this plan has phases. The first phase is the most restrictive, in terms of what you can eat, and is supposed to regulate your blood sugar. The second phase is less restrictive and is for losing weight. The 3rd is for maintenance. Good: Keeps insulin levels low with low glycemic carbs but does allow more flexibility than Atkins in phases 2 and 3. All food groups are allowed in those phases. Higher fat in the diet can be more satisfying so you won’t get as many food cravings. Bad: Phase 1 restricts most carbs and that can be challenging for some people. Adjusting to a low- carb diet can be tough until the body starts to use ketones for energy. This can make some people feel weak, tired and cranky until the body transitions. Some of the polyunsaturated fats recommended in this diet are high in Omega-6 oils, some of which are linked to inflammation. There are no strict portion size recommendations, although this can be a plus for some people. Verdict: This plan is similar to Aktins but with less saturated fats and more low-glycemic carbs. I like that carbs are reintroduced slowly to promote a lifestyle change and not a short-term crash diet. Like the first phase of Aktins, it’s also very restrictive, which may cause some people to give up too soon. Because of the strictness of the first phase, people may lose weight very quickly. As they enter phase 2 and the carbs are being reintroduced, the weight loss will slow down so be prepared for that. If you like low carb plans but want flexibility to have a few “good” one here and there, this will be a great plan for you. What it Is: The Zone diet was created by Dr. Barry Sears and gained popularity with his 1995 book Enter The Zone. The Zone diet consist of eating 5 times a day (3 meals and 2 snacks) and keeping each meal in the macro ratio of 40% carbs, 30% protein and 30% fat. The theory behind this diet is that this macro ratio will put you in an optimum metabolic state where you burn the most fat. The diet also recommends choosing low glycemic foods to keep insulin levels low. This plan uses your hand as a guideline for food measuring Zone Food Blocks for portion control. The subsequent book OmegaRX Zone (2002) expanded on the original book and addressed omega-3s and their role in preventing inflammation. The 2014 book The Mediterranean Zone discusses polyphenols and how they can help improve gut health. Many people consider the Zone a low-carb diet, even though most of the calories are still coming from carbs. Good: You are not restricting an entire macro or food group so you have some variety with your food choices. I like that this diet promotes eating fruits and vegetables and low-glycemic foods. It also recommends good fats like olive oil and avocadoes. I don’t recommend it, but the plan does allow for some alcohol. Depending on your lifestyle, this might make it easier to stick to the plan. The plan also recommends eating every few hours which can be a positive or a negative. The good thing is you won’t get too hungry so you’ll be less likely to make bad food choices. Bad: Need to track the macros for every meal to make sure it is in The Zone. This can be too complicated for some people. The bad thing about having frequent meals is that they may not be easy to get if you have a hectic schedule. Verdict: There is not a lot of research to indicate if the 30,40,30 ratio will really maximize the fat you burn but I do like low glycemic foods for weight loss. 30,40,30 is a good ratio for muscle building but with a caloric surplus instead of a deficit. Most bulking bodybuilding diet plans that I have seen use a similar macro ratio. What it Is: The acid Alkaline diet is also known as the alkaline diet, alkaline ash diet, acid ash diet and the alkaline acid diet. No matter what name you call it, it’s based around the pH level of the foods you eat. The pH scale measures the acidity or alkalinity of a substance. The scale goes from 0-14. 0 is highly acidic and 14 is highly alkaline. The human body is normally close to the middle at around 7.4. The hypothesis behind this diet is that acidic foods can lead to poor health and chronic diseases. Having a balanced pH in the body leads to good health and the way to balance your pH is to eat a lot of alkaline foods. Acid foods include processed foods, meat, poultry, fish, eggs, cheese and grains. Alkaline foods include fruits and vegetables. One of the more popular versions of the acid-alkaline diet recommends 80% of what you eat to be alkaline and 20% to be acid. Another popular version recommends a 60/40 ratio. With this diet you also need to avoid caffeine, alcohol and tobacco because these things could negatively affect your pH levels. Being dehydrated is also bad for your pH so it’s recommend to drink lots of water. If you want to look at different foods and how they effect your pH level The Acid-Alkaline Food Guide from Susan Brown and Larry Trivieri is a good resource. Good: It recommends eating good foods like vegetables and fruits and avoiding things like sugar, alcohol and processed foods. Bad: There is very limited research to support the claims of this diet. The list of acid or alkaline foods can be confusing. Citrus fruits are acidic but they measure as alkaline because of the way they are metabolized in the body. There are many nutritious foods like berries that measure as acidic. Since this is more of a guideline for food, you may or may not lose weight since calories and macros aren’t monitored. Verdict: This is a weird one. Science may catch up with the theory behind this diet but as far as what I’ve seen, it’s not there yet. The body does a pretty good job of naturally regulating our pH level so it’s hard to say whether eating this was will make a big difference. Diets in the typical sense don’t work. Most people do something short-term and end up gaining all the weight back plus some extra. The real way to lose weight and keep it off is to make lifestyle changes that you can be consistent with. If you want a good plan, choose the one that best fits your eating preferences and stick to it. Don’t mix and match your favorite rules. You can’t choose the fats from one plan, the carbs from another and the alcohol from another and expect great results. If the plan you chose doesn’t have a calorie recommendation, you can use this calorie calculator to figure out about how many calories you need. I like to keep the calories in a recommended range because if not tracked, some people under-eat and some overeat. As far as what I would recommend, I tend to recommend an Atkins or South Beach style diets because low-carb plans tend to produce quicker results. If you are after long term results, it doesn’t matter which plan you go with because they tend to even out after a while as long as your eating habits and calories are relatively consistent. Once again.. The best diet plan is the one you are going to stick to. If you want more great tips, get my free eBook or check me out on YouTube, Facebook and Twitter.